This time he’s opted (Cruise is producer as well as star) to take on Child’s most recent novel and give his wayward former military man something of a potential backstory – he may have a daughter, and a romantic interest – the former army major is kinda smitten with Smulders’ current army major, which if nothing else offers the potential moral lesson - never screw outside of your rank. What’s most interesting about Cruise’s on-going attempt to make Reacher as successful on screen as he is with readers (even more unlikely after this) is how the man who is still – to all intents and purposes (and by that we mean the Asian market) - the world’s biggest movie star wants to perpetuate and build a mid-range, mid-budget series of movies. No one is doing this right now. Everything is micro budget or the next Avengers. Or even the next Mission Impossible. The mid-range, straight ahead action movie has gone. Is Cruise trying to singlehandedly keep it alive? It’s an odd move, especially when he delivers a movie that could easily pass for a straight to video Steven Seagal number if you turn you head and view the whole thing from the corner of your eye. Jack Reacher 2 is an under achiever on so many levels. The script is a mixture of the incredibly familiar – the bad guys are soldiers gone wrong in a war zone for – gulp! money – the dialogue is weak, the gags (such as they are) weaker, and the action moments seem beyond the abilities of director Zwick, normally reliable but not really finding it here. But – and this is the big but – it’s alright. It kind of asks you why do we always expect bigger and better? Something that just about moves along and has some decent performances can be fun to watch. It passes the time. When did that become a sin? 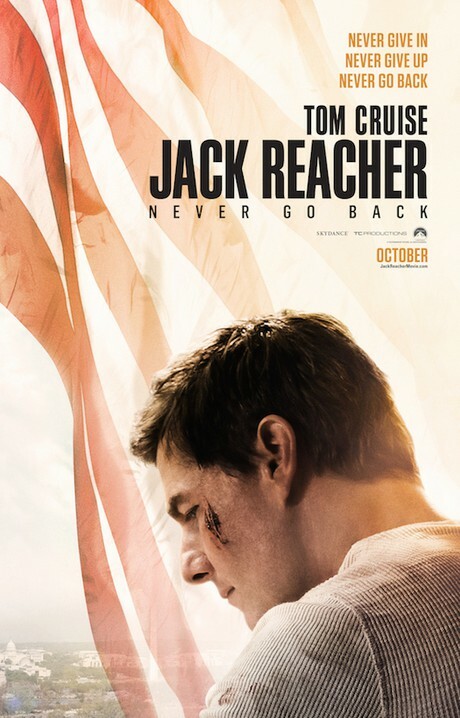 Cruise is, as ever, very strong, even if Reacher is the role that probably suits him the least well of his many choices – and not just because he’s about three foot shorter than the character in the books, he’s just too taciturn and remote for an actor of Cruise’s natural empathy. But he has the good grace to let the increasingly welcome Smulders rule her moments here. And when she doesn’t, she even gets to talk about the sexism behind why she doesn’t. A sly move to be sure. The new Jack Reacher is more or less the same average old Jack Reacher. But it passes the time. And every now and then, that’s enough. If they make another one (and Cruise comes to dominate the mid-range action market – in which not much money is spent but none is wasted) we’d probably go again. We won’t be waiting for it though. And can’t imagine many other will either.